Any questions for Janet Daley? Janet Daley was raised in New York and was an academic before before becoming a conservative commentator. Former Moral Maze panelist she has just made a welcome return to The Daily Telegraph's comment pages. Please use the comments thread below to raise questions for Janet or email questions to Tim. Ross Cowling: "With the failure of John Prescott's flawed plans to set up regional assemblies in England, what can the Conservative Party do to further stop the fragmentation of this country's historical and cultural boundaries?" The sad truth is that John Prescott’s regional assembly project has actually gathered pace rather than failed – despite the resounding ‘no’ in the North East referendum. Regional assemblies exist throughout the country and between them and various other regional quangos they are sucking power up from local councils. Their powers cover things like planning and housing and you will have noticed that the regionalisation of public services such as the police and fire services is also underway. We have pledged to abolish regional assemblies and return powers to local communities when we get back into power. In the meantime we are working with Conservative councillors up and down the country campaigning against this regionalisation by stealth. Any questions for Francis Maude? 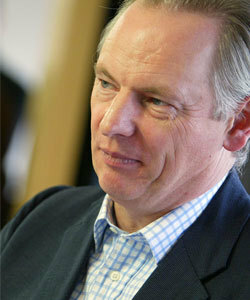 Francis Maude has been at the forefront of embracing the use of new technology as a way of engaging Conservative members and supporters, and is a regular reader of ConservativeHome and other right-of-centre blogs. In a sign that the internet will play a more crucial campaigning role than it has historically, the party recently announced the hiring of “internet guru” Sam Roake from Google and is recruiting a new editor for conservatives.com. In an exciting new development - thought to be a first in British politics - the Party Chairman has agreed to taking part in what will become a monthly “Challenge the Chairman” slot which will take the form of a Tory Radio podcast. Do you have any burning issues you feel the party needs to be thinking about? Now that the A list is up and running is there any scope for criticism? What of changes to the party membership rules? What else would you like to ask? Please use the comments thread below to raise questions for Francis or email questions to [email protected]. 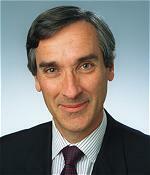 ConservativeHome readers recently posed a variety of questions for John Redwood MP. John answers them below. Manhattan: "Is there any gain in the fight against crime to be had from repealing the HRA if Britain does not also withdraw from the ECHR?" We need to take the measures that are right for the UK to combat crime. To do this we need to legislate in the UK through our democratic Parliament as we see fit. As the policy review process proceeds it will become clearer what needs to be done to ensure the UK is free to do all that it needs to do to offer safety to our citizens, and what we might need to propose to deal with the European issues. It is too early to answer your question, as we first need to decide what extra measures we need to take domestically. NigelC: "Should local Conservative councillors participate in Regional Assemblies as it is now our policy to abolish them?" We believe in local determination, so it is a matter for local Councillors to decide. I would suggest all Conservative Councillors on these bodies should propose a resolution for their abolition. If it carries the problem is solved. If it is not carried, and if Councillors wish to stay on these bodies, they should make sure they always express views based around our principled position that these bodies are a waste of money and an anti-democratic system of government. Any questions for Lynton Crosby? Australian Prime Minister John Howard is one of the most successful conservative leaders in the world today - perhaps the most successful. Lynton Crosby is the man widely credited for helping Mr Howard achieve some of his biggest victories. Another Howard, Michael Howard, tried to import 'the Crosby factor' for last year's UK General Election and appointed Mr Crosby as director of the Tory campaign. Mr Crosby became closely associated with the dog-whistle campaign that characterised last year's Tory campaign. Please use the comments thread below to raise questions for Lynton or email questions to [email protected]. Caroline has been Conservative MP for Meriden since 1997, and is Shadow Secretary of State for Communities and Local Government. Her previous roles in the party are: Opposition Whip, Frontbench spokeswoman for Health, Shadow Secretary of State for International Development, Shadow Minister for Women, and Shadow Secretary of State for the Environment. She has also been on the Science and Technology House of Commons Select Committee, and the Agriculture, Fisheries and Food Conservative Parliamentary Committee. 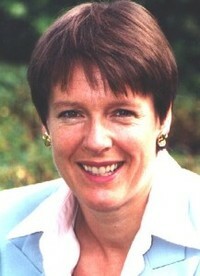 Please use the comments thread below to raise questions for Caroline Spelman or email questions to [email protected]. Louise comprehensively answers a selection of your questions from last week. Tom Ainsworth: I notice in your article you go along with the popular belief that Bank of England independence was a good move. I'm not so sure: isn't it an unconservative step to take the power away from elected politicos whom we can boot out if they screw up, and give it to the quangocrats? Did it really work so badly before? I think the definition of a quango is a useless, pseudo-government body stuffed with bureaucrats occupying non-jobs. The Governor of the Bank of England doesn’t fit that description. I can quite see your point, which is accountability; but the markets will hold the Bank to account in a more efficient way than the electorate will hold a politician. The temptation to bribe the electorate with interest rate cuts is too great. Conservatives trust voters, but we trust the market, too. Edmund: Thank you for sparing time to answer our questions. I was wondering what's your position on free vote issues i.e. gay rights, foxhunting, abortion, death penalty, divorce and Sunday trading? I had a couple of comments along the same lines. The first thing to say is that in our country, these matters are indeed free votes. And that’s a good thing. Taking them out of party policy avoids the bitter divisions caused in the United States. We have people here with different faiths and none, and different values. I don’t think these votes should be compelled by party whips. 1. Gay rights – I support civil unions as conferring valuable civil rights, but I would advocate extending civil unions to those not in a romantic relationship, such as, for example, elderly relatives living together who wanted to buy a house. I believe marriage should have a specific and uniquely privileged place in British society. 2. Abortion. I am pro-life. But I recognise the public must give consent to any change in the law. Recent surveys have indicated that a majority of women support a reduction in the current limit to pre-viability outside the womb. David Cameron has said he would support a decrease in the time limit, and I believe this would be a good starting point with a broad consensus that people of differing views on the issue can coalesce around. 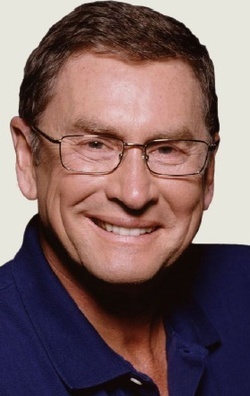 Two weeks ago you raised a variety of questions for Lord Ashcroft. Michael answers them below. James Maskell: Do you believe that the A-List is an appropriate tool for candidate selection in key marginals? As I showed in Smell The Coffee (now available in full on www.lordashcroft.com if you will excuse the plug), we need to change the way people see the Party if we are to win the next Election. A key part of that must be to have candidates in our target seats that are representative of modern Britain. This is not about appealing to a fashionable set in London; it is about appealing to the people whose votes we need to get rid of this Labour Government. David Cameron has acknowledged that the process is difficult for some of the individuals involved but it is right for the Party as a whole. I have been following the debate on ConservativeHome on this subject closely and I am pleased to see that most of the comments have expressed disappointment about people who have been left off the A-List, rather than criticising the people who have got on. I know more people will be added to the list over the summer and hopefully that will address most of the concerns. CDM: Where do you stand on Lords Reform? Well, if we were designing a legislative system from scratch, I don’t think anybody would be proposing the current House of Lords. I understand the merits of an elected second chamber but in my view there are a number of drawbacks. In particular, would an elected second chamber attract people with the same wide range of experience and spirit of independence? The remaining hereditary peers make a significant contribution to the work of the House of Lords but, as a matter of principle, I believe that people should be there on merit, rather than by accident of birth. Any questions for Louise Bagshawe? A few days after Louise Bagshawe became one of the more high profile members of the party's A-list, she used a Sunday Times article to explain her support for the party. Louise was Cadbury's Young Poet of the Year at 18 and then studied English at Oxford. She is the best-selling author of eight novels. Louise first joined the Young Conservatives at 14. She now lives with her husband Anthony and her young son and daughter in East Sussex.